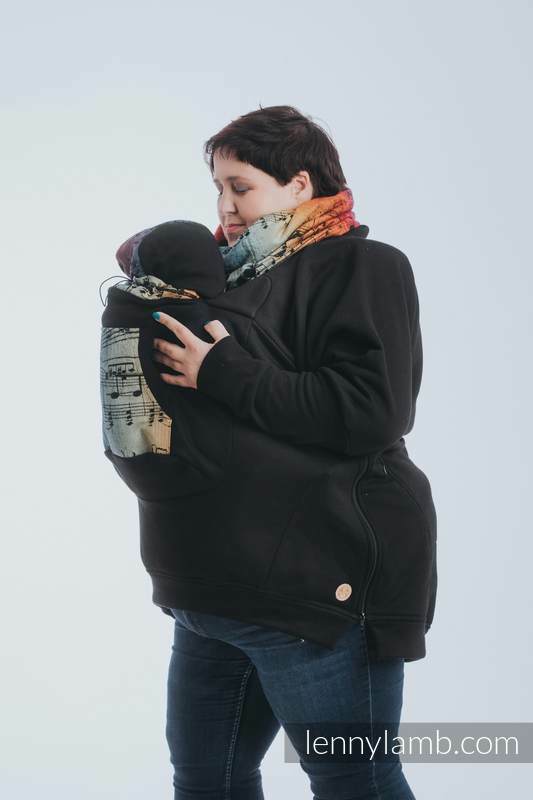 Babywearing Sweatshirt is intended to be used while wearing a baby in a wrap or a carrier both front and back carry. 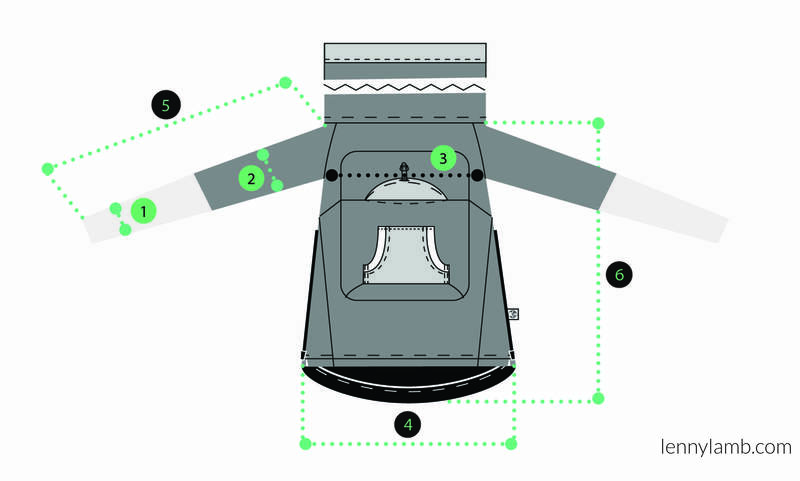 It has a special pocket, which covers the baby. 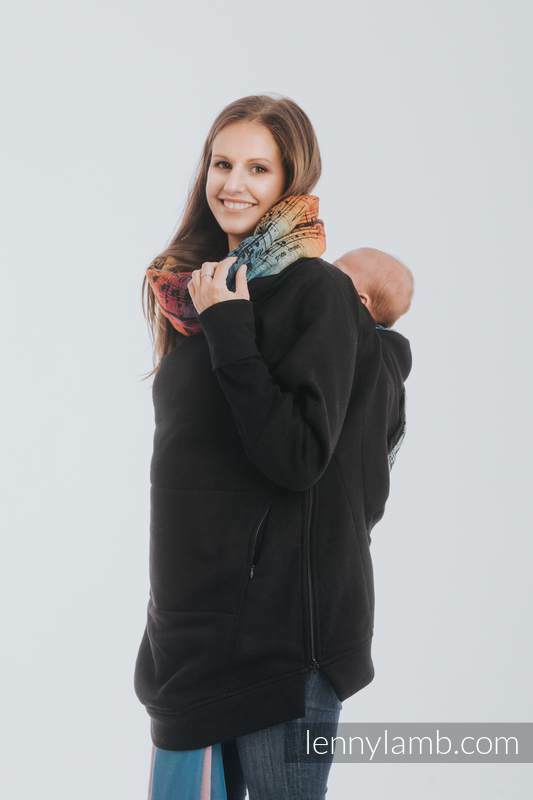 Babywearing apparel allows you to enjoy babywearing even when the weather is conducive. 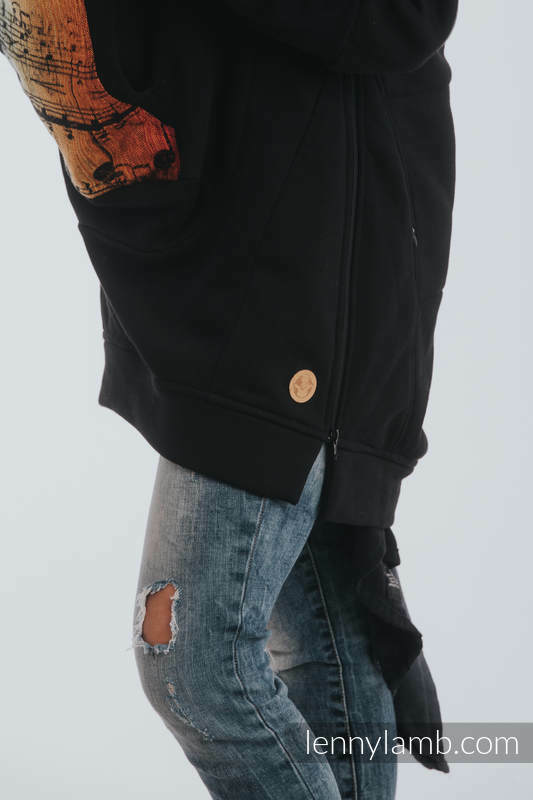 Two zippers at the sides allow you to put on the hoodie fast and without a problem. 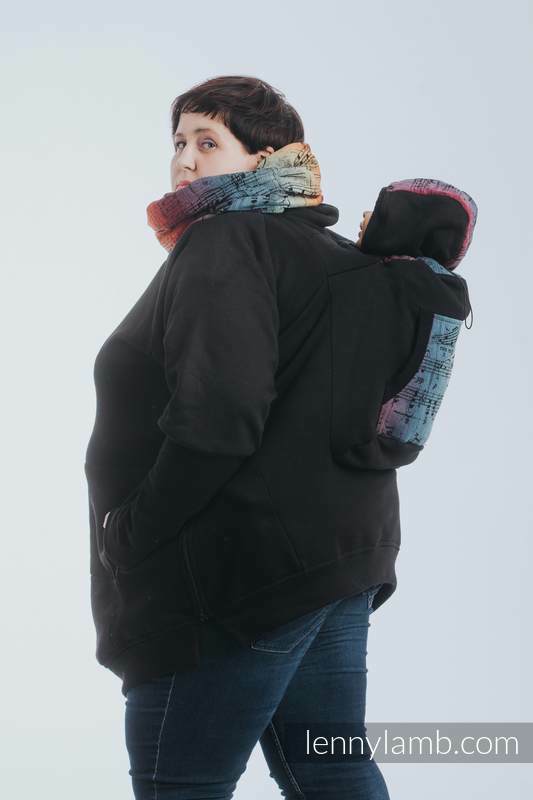 Whereas, the snood gives character, swaddle. 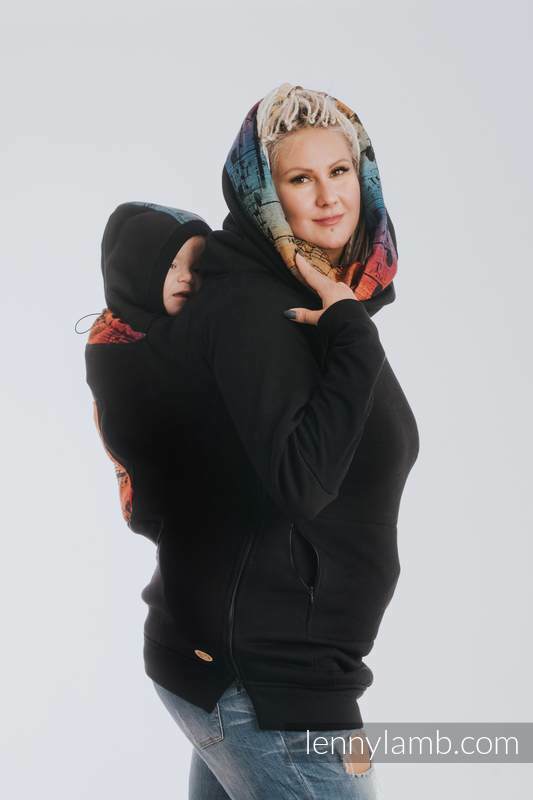 It can also serve as a hood. 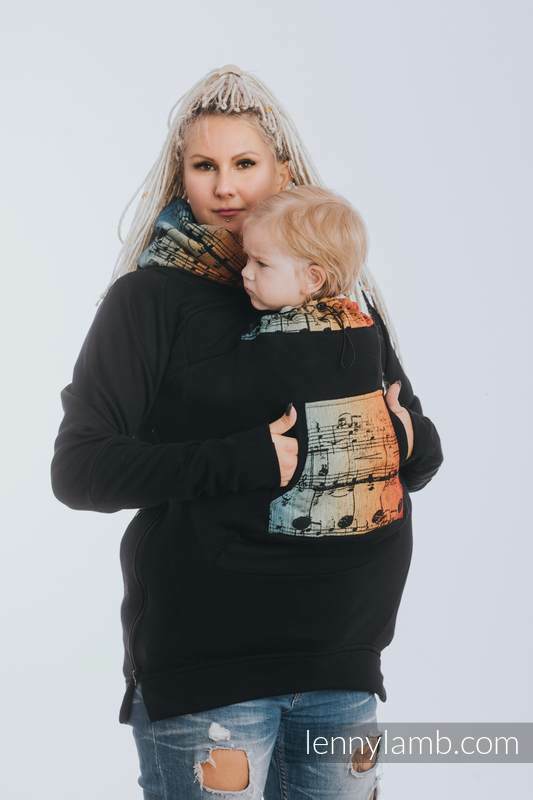 Babywearing sweatshirt is made of a high-quality soft and warm soft knitted fabric and a patterned finish, made of a woven fabric, will allow you to express yourself. 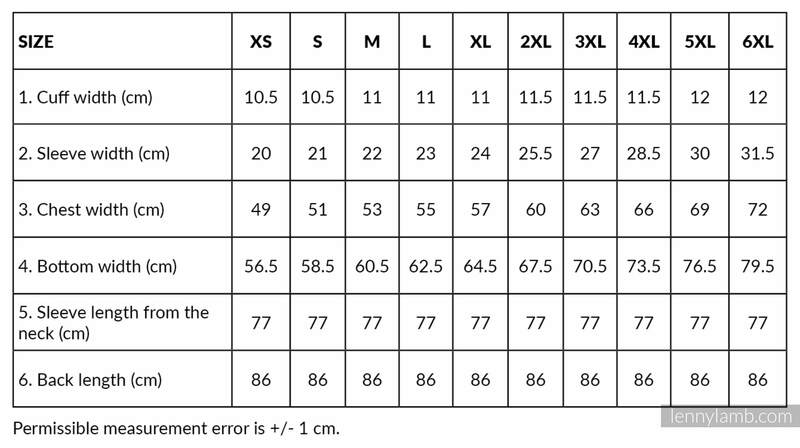 The sweatshirt has a universal cut, suitable for both women and men. 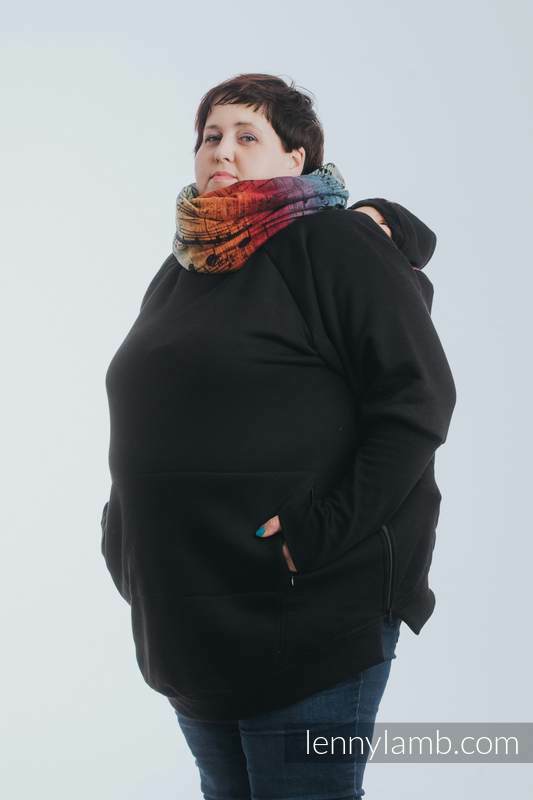 ATTENTION: The sweatshirt is not a “wearing” product. 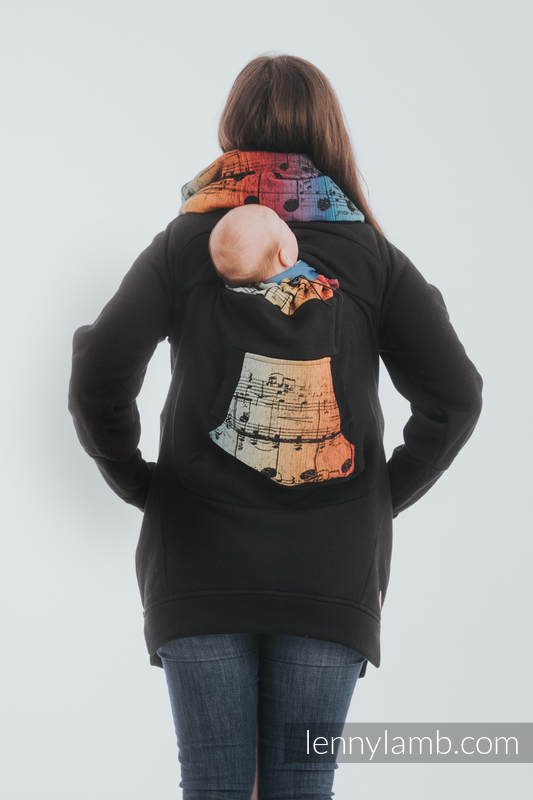 We put the sweatshirt on ourselves and the baby, which is in the wrap/carrier.